Fuckup Nights is a global movement and event series that shares stories of professional failure. Each month, in events across the globe, we get three to four people to get up in front of a room full of strangers to share their own professional fuckup. 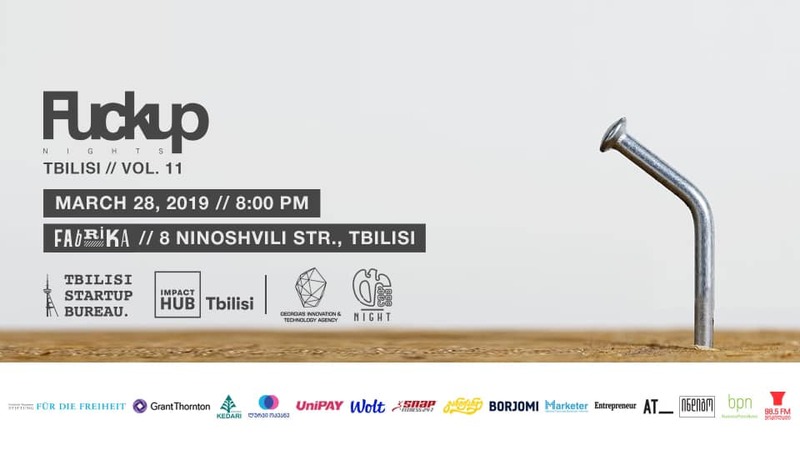 In the framework of the event, the presentation of the Georgian edition of the Fuckup Book will take place.